AMMAN — Jordan will impose custom duties on Turkish imports as of November 22, as the free trade agreement (FTA) between the two countries ends this month, an official said Saturday. The FTA between Jordan and Turkey will be officially terminated on November 22 and on the same day, customs duties will be imposed on Turkish products, Yanal Barmawi, spokesperson of the Ministry of Industry, Trade and Supply, told The Jordan Times. "Negotiations between the two countries to boost ties and enhance the trade exchange and commercial cooperation will continue even after the termination of the FTA," said Barmawi. He added that the ministry sent letters to the chambers of commerce and industry notifying them of the decision. Nael Kabariti, president of the Jordan Chamber of Commerce, urged the government on Saturday to reconsider its decision. "We were hoping that the government would re-examine this decision to reach a win-win situation for all… many commercial and service sectors will be affected by the decision to terminate the FTA, especially since many have started investments and signed deals with Turkish counterparts," Kabariti said in a statement obtained by The Jordan Times on Saturday. "The FTA included some positive articles and terminating the deal will result in an increase in prices of Turkish goods…There are other ways to protect national industries and enhance their competitiveness in international markets," he added. In May, Jordan officially informed Turkey of its intent to completely terminate the FTA after efforts to find a “just” solution for the benefit of both sides broke down. In April, Jordan said it was willing to reactivate the FTA, which was suspended in March, if Turkey agreed to meet certain conditions. 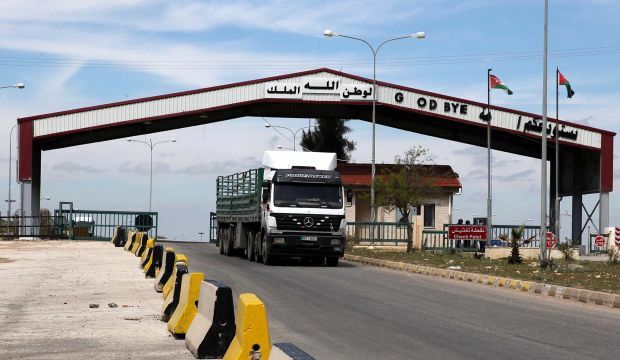 The terms include the Turkish side’s consent to protection measures designed to shield local industries, increasing Turkish technical assistance to Jordan as stipulated by the FTA and reconsidering the “strict” rules of origin specifications applied by Turkey. Jordan wanted Ankara to adopt the same relaxed rules of origin Jordan enjoys under a deal signed with the EU. No agreements were reached following the meetings. The government’s March decision to suspend the deal was welcomed by industrialists but slammed by traders. At the time, government officials said that Turkey did not transfer know-how to improve national industries as agreed upon in the deal, adding that Turkey’s exports to Jordan sky rocketed after the deal went into effect. Before 2011, Turkey’s annual exports to Jordan, excluding oil, valued at $23 million, with customs fees being collected; after the deal went into effect, Turkish exports to Jordan, excluding oil, reached around $135 million annually, with nothing being disbursed in customs fees to the Treasury, according to the Amman Chamber of Commerce.